Depression is an important health condition. It is the leading cause of disability worldwide, and it can be a cause of suicide. Depression will be the theme of WHO’s World Health Day 2017.
WHO recommends interpersonal therapy (IPT) as a possible first line treatment for depression. 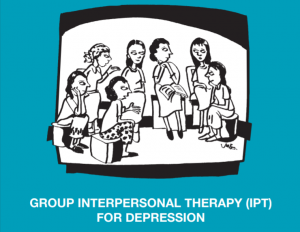 With this new manual, the World Health Organization (WHO) gives guidance on the use of interpersonal therapy (IPT) using a 8 session group protocol. The manual – which is part of WHO’s mhGAP programme – describes IPT in a simplified format for use by supervised facilitators who may not have received previous training in mental health. WHO Columbia Group IPT manual for depression has now been published in Chinese and is available on WHO website. The manual is present also in Arabic, English, and Russian. This guide covers an 8-session protocol that is similar to IPT Adapted for a Group in Uganda (IPT-G-U), a 16-session protocol devised by Kathleen Clougherty, Lena Verdeli and Myrna Weissman. 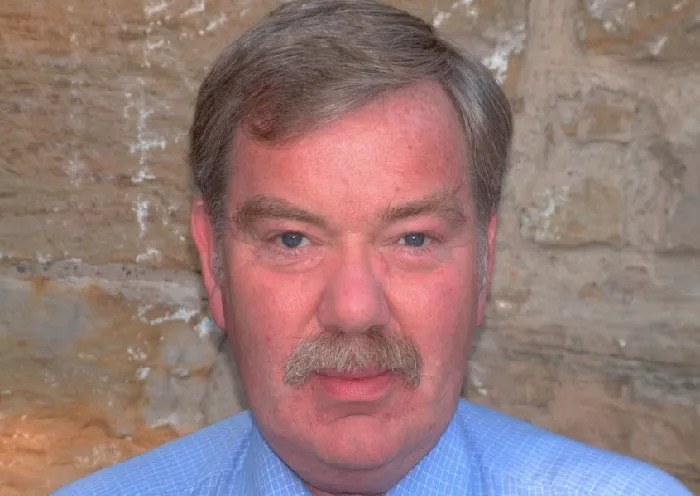 Chris Freeman was a visionary psychiatrist, who transformed the way many people deliver and receive evidence based therapies across Scotland, the UK and far beyond, through his commitment to training, service innovation and research. As one part of his multi-faceted career, he was instrumental in bringing IPT to the UK. Long before most clinicians in the UK knew what IPT was, and certainly before it was routinely available in the NHS, Chris led a research trial to compare IPT, CBT and Usual Care for depression and anxiety in primary care. True of so many of his projects, he had a vision of more choice and better access for the people who received the treatments under scrutiny. Not satisfied with running a local research trial Chris, being Chris, following this up by hosting the first national conference on IPT in the UK and was instrumental in establishing the special interest group, which became IPTUK. He devised a unique contribution to a national programme of service transformation in Scotland, Doing Well by People with Depression, which implemented a model of IPT training delivered across eleven sites in Scotland, with the aim of establishing self-sustaining hubs of practice and supervision to ensure effective dissemination of IPT around the country. It is not difficult to see how far ahead of his time he was when we consider that this programme was in place almost ten years before IPT took up its place in IAPT, with many of the same objective across England. Chris’s vision was not limited to UK and over many years he was also a central figure in the early meeting of ISIPT, following the APA across the US on an annual basis for one day meetings in which many of the topics we still grapple with today were the subject of discussion and debate. Reminiscent of the most influential thinkers behind IPT, Chris was a maverick and truly independent thinker. He challenged accepted wisdom and focused on making the best evidence based therapies of the time accessible as widely as possible. 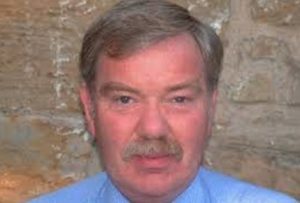 He was an expert in CBT and established a programme of multi-disciplinary training, which became the South of Scotland CBT course. IPT was fortunate to become a focus for this visionary drive for accessible, effective and evidence based therapy. I have a very personal reason to be grateful and deeply saddened by his loss. Chris is without doubt the colleague and boss who made me the psychologist I am today and who brought IPT into my professional life. Chris had a tremendous gift for seeing potential in people – colleagues and patients alike – and he frequently saw more than the person could see in themselves. I remember with great fondness the informal interview I had with Chris, in the pub, before he recruited me to the Primary Care trial. I answered, “No”, to almost every question he asked and, fortunately, he paid no attention and hired me anyway. Over the next ten years we worked together to establish the IPT Scotland course and the IPTUK network. Chris was supportive with a skilfully light touch, inspiring so many people around him to do and be more than they imagined they could before meeting him. It is with great sadness and gratitude we now say goodbye. 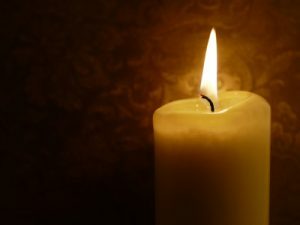 In Memoriam: Joshua Lipsitz, Ph.D.
Josh was one of the second wave of IPT researchers, developing his clinical research career in the wake of the initial treatment studies of major depression by Klerman, Weissman, and colleagues in New England, and Ellen Frank and David Kupfer’s group in Pittsburgh. As a psychologist in the Anxiety Disorders Clinic at Columbia University/New York State Psychiatric Institute, Josh led the expansion of IPT research into the anxiety disorders, previously the province of CBT. With funding from the National Institute of Mental Health, he conducted pioneering pilot studies of IPT for social phobia (American Journal of Psychiatry, 1999; Depression and Anxiety, 2008) and for panic disorder (Journal of Nervous and Mental Disease, 2006), establishing in principle that IPT interpersonal problem areas and techniques applied to anxiety as well as mood disorders. He subsequently consulted on parallel studies in Europe. He explored other aspects of anxiety disorders, including their relation to cardiac symptoms and an important early exploration of the role of childhood separation anxiety in relationship to adult anxiety disorders. Josh also contributed to IPT in other ways. He wrote definitive scholarly pieces on the theoretical mechanisms behind IPT (Clinical Psychology Review 2013; Handbook of Clinical Psychology, 2016). With Ken Kobak, Ph.D., he did novel work in developing internet-based training for IPT. He moved to Israel, where he was a Professor of Psychology at Ben Gurion University of the Negev and began the dissemination of IPT there. In 2010 Josh established the Israeli Association for IPT. He co-organized local trainings and many exciting international collaborations. Josh taught the Israeli group that disseminating IPT nationally required collaboration. Under his leadership, the group became a local IPT professional and social milieu. Josh participated in the Israeli national suicide prevention program, trained and supervised many local clinicians, and was the academic mentor for numerous highly appreciative graduate students. Josh was a class act: a gentle soul, an attuned mind, a mensch, a generous colleague and collaborator. A fine and loyal friend. Although he initially seemed shy, he had a wonderful, dry sense of humor and could light up a room. A wonderful family man, Josh frequently spoke about his family as a proud husband and father. Thus beyond his professional investment in IPT, he exercised excellent interpersonal relations in his personal life. Josh was calm and brave (in all our contacts with him) when his catastrophic illness was diagnosed, and he fought it through to an initial remission, at which point he resumed his work. He maintained his poise and low keyed sense of humor. His death is a great loss to our community and to all who knew him. The ISIPT sends its condolences to his wife Leslie and their children.